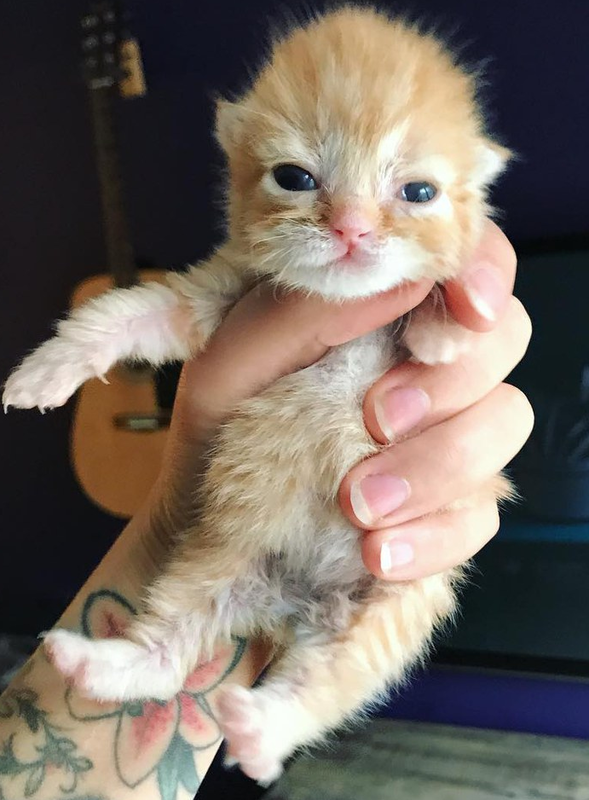 This Unbelievably Tiny Kitten Was Surrendered In A TISSUE Box! But The Pet Shop Didn’t Know How To Help. Possibly the smallest kitten ever was dropped off at a pet store in a tissue box. 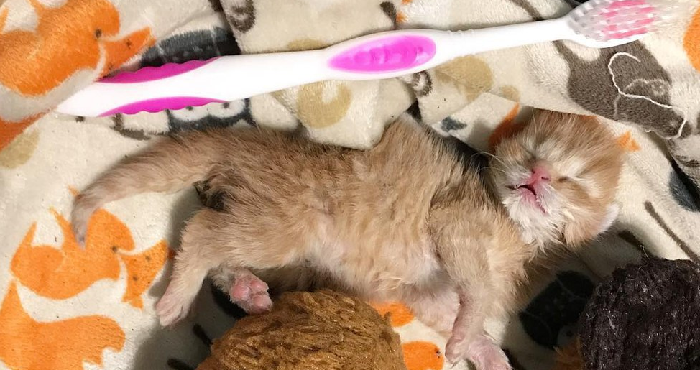 They weren’t given any explanation other than “she’s a little sick.” Unfortunately, the kitten was surrendered at a pet store that wasn’t able to help to care for a newborn kitten. She needed special attention that they couldn’t provide, so they called for backup. Hannah, the woman behind Kitten Lady, a rescue, rushed in to help. The kitten weighed only 80 grams and was covered in dangerous fleas. The blood loss from being left untreated could have easily killed the small creature, so getting rid of the fleas was her number one priority. After a few meals, a warm bath, and a nice snuggle, the kitten fell asleep and began to recover. She was shockingly small, but she wasa fighter. They named her Hanky and hoped for the best. Day after day, she put on weight and slowly gained strength! Every day, she grew more curious…but she never lost her love of cuddles! Her foster family knows that one day, she’ll make a wonderful kitten for someone special. For now, they are just glad to have helped their impossibly small kitten dropped off in a tissue box!